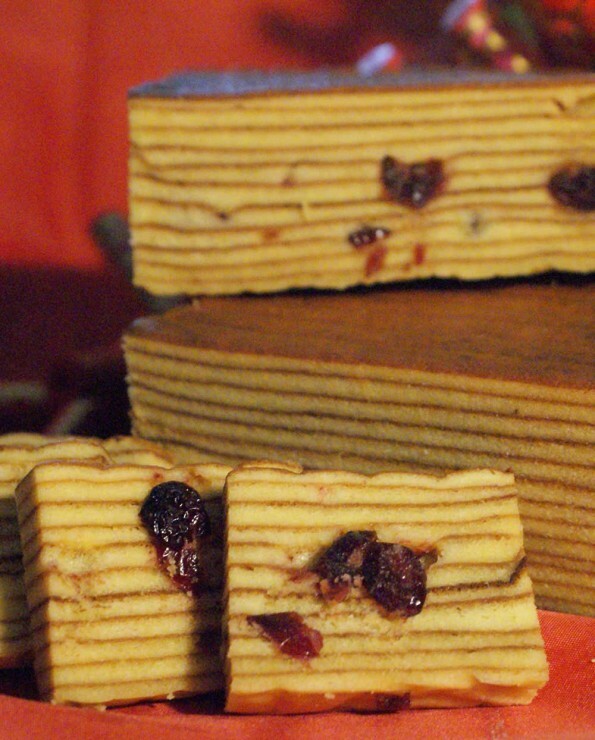 The Cranberry version of the fame Yangyang Kueh Lapis. Spongy, light and not too sweet with a pleasant eggy taste. Loads of Cranberry all round! Our Yang Yang Kueh Lapis are all baked personally by our Aunt Yang Yang. She use fresh ingredients with no preservatives. 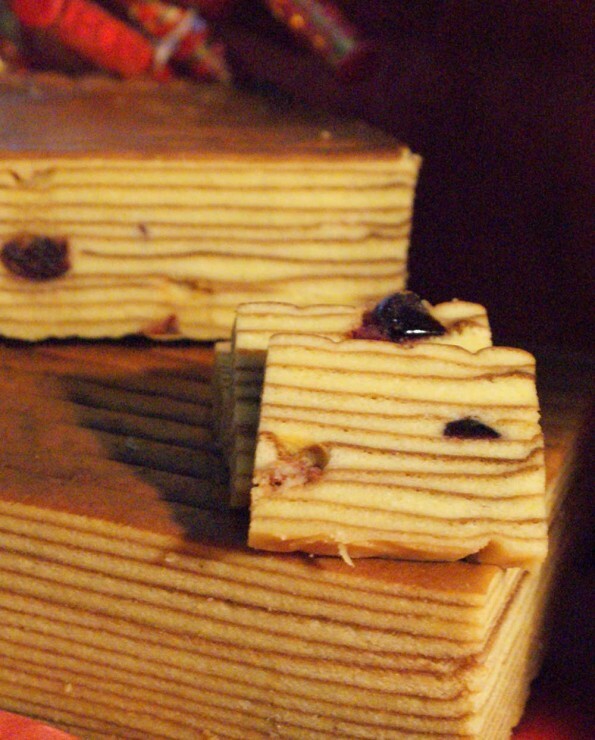 As such, our Kueh Lapis need to be refrigerated in the chiller (not the freezer).